Spicy Quinoa Cakes with Lime & Cilantro Sour CreamI’ve been obsessing over making quinoa cakes since I had them at Lodge in Williamsburg a few weeks back…2 cups cooked Quinoa (I used a combo of black and white quinoa)3 Eggs, lightly beaten 1 Jalapeno, seeds removed, minced1 clove Garlic, minced1 small Red Bell Pepper, chopped in to small pieces1/2 cup chopped Cilantro 3/4 cup Bread Crumbs (plus more if needed)Salt to tasteOlive oil1 small container Sour Cream1 1/2 Limes In a bowl, season quinoa with salt. 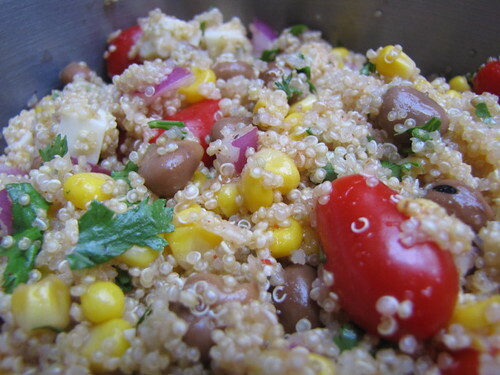 Add garlic, red pepper, 1/4 cup of cilantro, jalapeno to the quinoa and mix together. Add eggs and toss together. Add bread crumbs and mix together. Let sit for a few minutes until the liquid is absorbed (you’re going to form patties, so add more breadcrumbs if it’s too soft, or a little bit of water if too dry). Form into patties with your hands (whichever size you like, but make sure they’re not too thick). Heat olive oil in a saute pan. Cook each side of the patties on low/medium heat until brown, carefully flipping over. For the sour cream, combine remaining cilantro and juice from the limes and mix together. 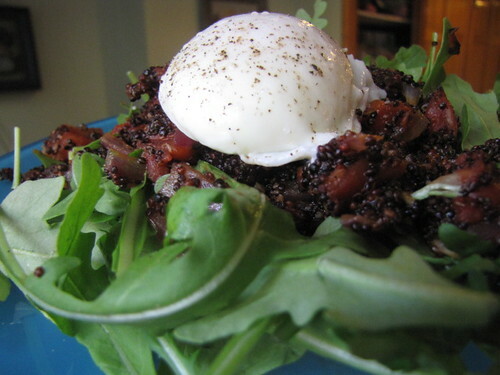 Top quinoa cakes with lime & cilantro sour cream and serve. Why do I feel like summer is barreling away from me and is nearly over?! At this point there’s only a few weekends left where I’m not traveling or someone else isn’t in town. I’ve spent minimal time at the beach. Something has got to change! I hope everyone had a great 4th of July and did not blow an arm off like that dummy in Long Island. I didn’t touch a single firework, though I did spend quite a bit of time reminiscing about the “Friendship Pagoda” and “Ground Bloom Flower” and having tank wars. We did a potluck, and after some aggressive food assigning by Mads, I was given the task of making salads. I intended to make my ma’s cold sesame asparagus dish, but there was no asparagus at the store! Not a single one! 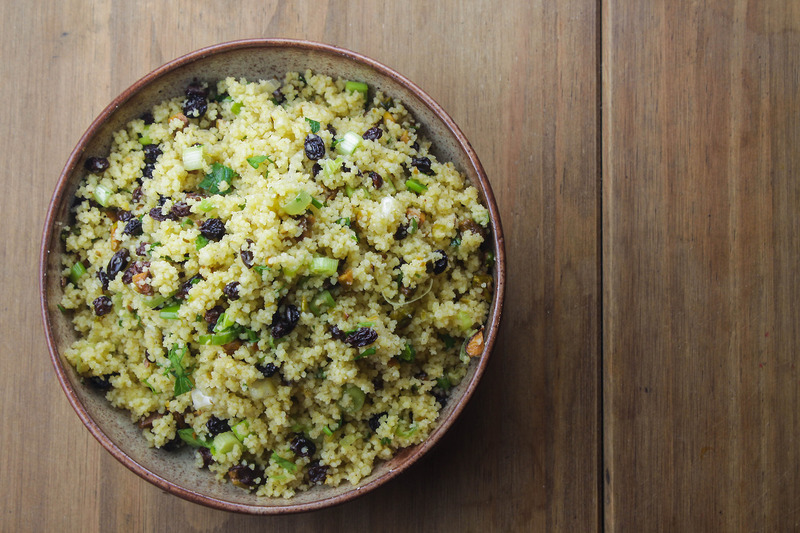 I had to make this recipe on the fly as I walked around the store.Southwest Quinoa Salad2 cups of quinoa (follow instructions on the box/bag)1 can of black beans (this never ever happens, but I had NO black beans at home. I opened the “legumes” drawer and was completely shocked. I used fava instead. )1 can of unsalted corn (or fresh if you’re a better person)1 container grape tomatoes 3/4 cup chopped cilantro1 small red onion, chopped1 cup pepperjack cheese, cubed (optional! Just as good without)Juice of 3 limesChipotle chili powder, optionalCumin, optionalsalt & pepper to tasteMix ingredients in a bowl and season to taste. That was easy! If you ever want to be annoyed, listen to me whine after I realize the potatoes I used in my potato salad are undercooked. You’d swear I’d ruined Christmas or something.Greek Yogurt & Dill Potato SaladI made way too much, so these are all approximate numbers for a normal amount of people. 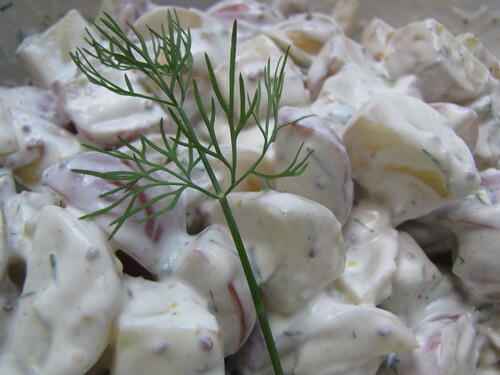 I was going to make this a red, white and blue potato salad but there were no blue taters at the store. I felt bad for being let down. How soon do I start buying sweaters for every holiday?2 pounds red and white small potatoes, quartered1 container Greek yogurt1/2 chopped dill1/4 cup dijon mustard with grain1/2 lemon (juice)salt & pepper to tasteBoil potatoes until tender, drain. 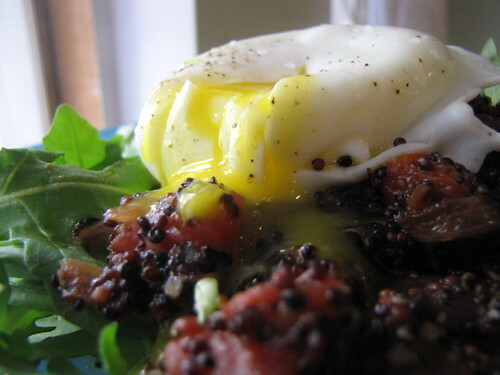 In a bowl, mix Greek yogurt, dill, mustard and lemon juice. Add potatoes and toss until coated. Salt and pepper to taste. We spent most of the day on Bjorn’s roof, which had a great view of the fireworks exploding behind the Manhattan skyline. Mads cooked up some lamb burgers for everyone, while I enjoyed a Danish version of a hot dog (er, veggie dog), complete with a homemade remoulade and pickled cucumber. I had a great day with everyone, but it did make me miss my family back in WA. Aunt Nancy and Uncle Laurin throw an epic party at the lake and I’m bummed every time I miss it. That being said, I’m excited to head home in two weeks and see everyone and perhaps make some NW inspired meals.